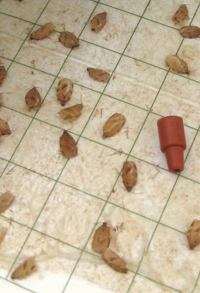 Brief: The focus of insect peat management for the next 7 days should be on Codling Moth (CM) and Obliquebanded Leafroller (OBLR), as adults will continue to emerge, mate and lay eggs over the next two weeks. The degree day model for OBLR larvae hatch to begin is 350 DD base 43F post biofix. We are presently at 268 DD. Based on this weeks temperature forecast OBLR larvae emergence is predicted for 16th of June. . 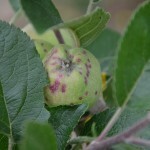 If you did not address a running San Jose Scale (SJS) infestation in your orchard, here’s your last opportunity for the season to avoid injury to fruit before crawlers emerge. 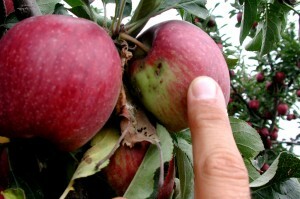 Once crawlers settle onto fruit, the apple will respond by forming a red halo within a few days after feeding begins. 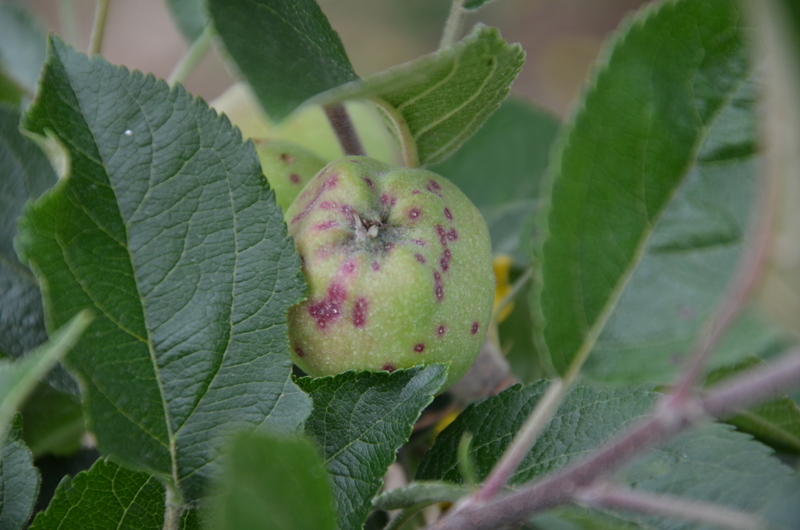 If 1st generation OBLR damage to fruit, in the form of surface feeding or CM damage with internal fruit and seed feeding occurred last season, management is strongly recommended this week. 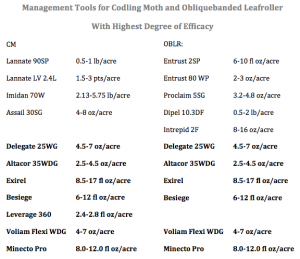 Insecticides effective against both CM and OBLR should be used with an eye to utilizing weather forecast providing optimum application coverage. Timing for San Jose Scale management using contact insecticides and insect growth regulators should begin over the next few days. If you have seen injury at harvest last season you will need to invest in managing this insect. 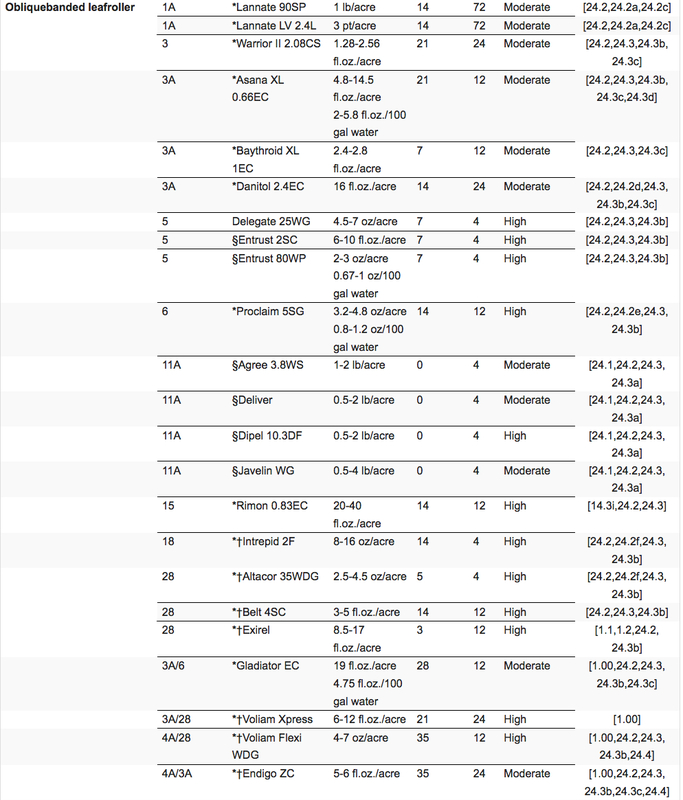 If neglected, the crawlers will be blown hither and yon and to leeward, spreading throughout the block and orchard with exponentially higher levels of injury relative to last season. Although we have not yet observed crawler emergence here in Highland (as of today), applying contact residue for SJS is critical if fruit damage from SJS occurred last season AND no other management for this insect has been made. If you have an infested tree you are monitoring daily for emergence (using black electrical tape and Vasoline to capture and see the minute yellow crawlers) you will know when emergence takes place in your orchard. Details: Codling moth egg hatch began on the 29th of May with management beginning 12 days ago. Scouting for OBLR in cluster fruit. If you plan to use the Group 28 diamides Exirel (Cyazypyr), Altacor (chlorantraniliprole) or spinosyns (Delegate or Entrust for organic growers) product for OBLR, early applications of these products will effectively control CM …. and are rainfast, likely to linger a bit longer for OBLR management when the applications are needed in earnest over the next 2 weeks. Note that the Bt products are not very effective against the codling moth but highly effective against the OBLR early larval stage. 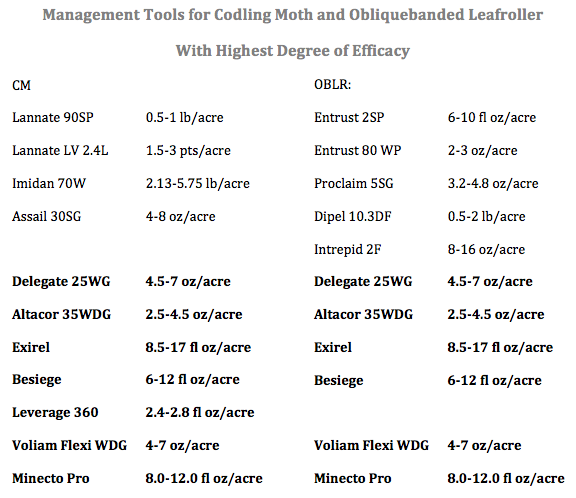 Insecticide use guidelines / selection for OBLR management with varying degree of efficacy for CM control. And lastly……read John Wise’s research on rainfastness of insecticides. Although we are in a drought period this guide should help answer your questions on whether (when) to spray after a rain. OBLR Pheromone Trap Captures at “Peak Flight”.